I am not a crafty mum. I don't like the mess and I am often too busy for the prep. 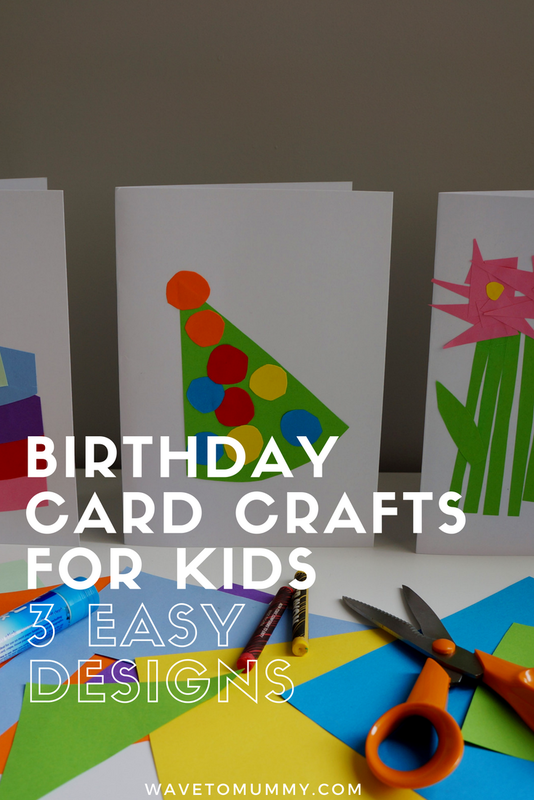 However, as my daughter loves crafting with mummy I came up with these really easy card crafts - all you need is white card, coloured paper, scissors, a glue stick and about 15 minutes of time. 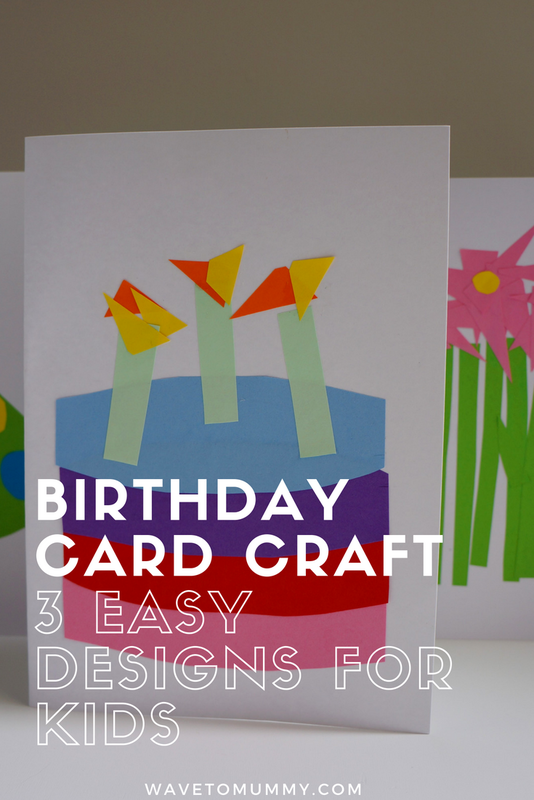 I've done three very simple birthday card designs which are: a birthday cake, a party hat and a bouquet of flowers - craft away! I chose to do birthday cards as we recently hosted a kids birthday party ourselves and received homemade cards from some of our small guests - they were just the sweetest so I wanted to share the love. My favourite is the birthday cake card. All you need is to is cut some shapes like in the above picture, number of the candles optional! Glue the cake layer shapes on top of each other, then the candle sticks, an finally the yellow and orange triangles for flames. We were going to birthday party for a three year old so we did three candles. The party hat was the easiest, especially for little toddler hands. With just one big triangle and lots of little circles to glue she got the gist of it straight away. The flower bouquet is simple, but effective, and I think this would work on lots of other occasions too, such as for a Mother's Day card, or perhaps a Thank You card. It was fun making these. My daughter loved it, and with a bit of gentle direction she managed to glue the right bits roughly in the right places, making the cards look more like a real birthday card and less like a modern art project. I was also chuffed that she understood what these were meant to be - pretty much as soon as we got half way through she exclaimed loudly that she was making a cake (or a party hat, or flowers). And bless, she started singing "Happy birthday to you" while making the cake. On a personal note, the snob in me thinks these look quite good for toddler crafts. There are a few further ideas I think I might use to spice up our card crafting next time. I found glitter glue sticks online which might make it a bit more festive. And I might even go for some 3D-creations with this huge kids craft set from The Works. What did you think of these cards?